This S.O.A. 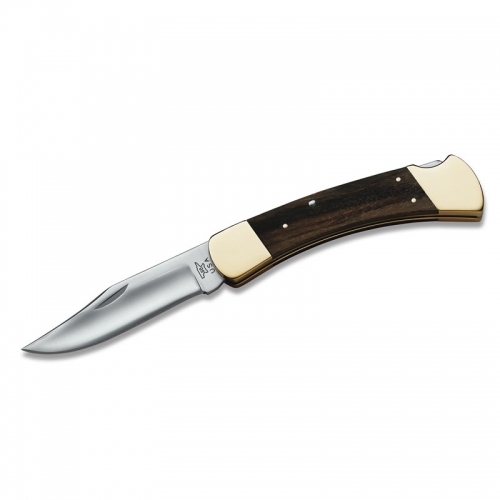 tactical hunter knife features a contoured premium Micarta handle which not only gives this knife a tactical appearance, but is also slip-resistant and extremely easy to grip even while wet. 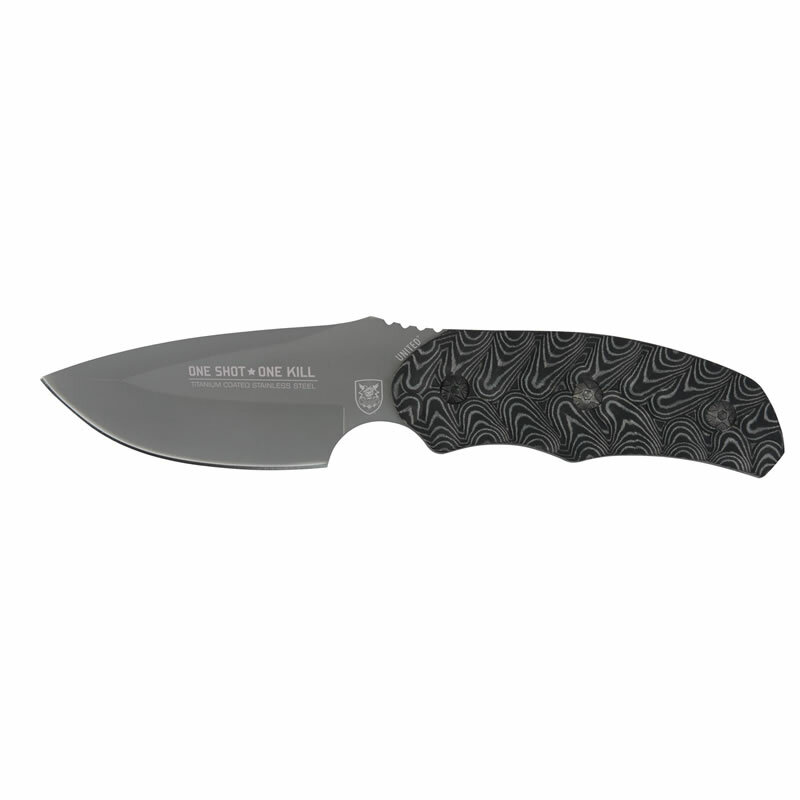 The 3” full-tang blade has been meticulously titanium-coated to reduce glare and prevent corrosion and then etched with the S.O.A. 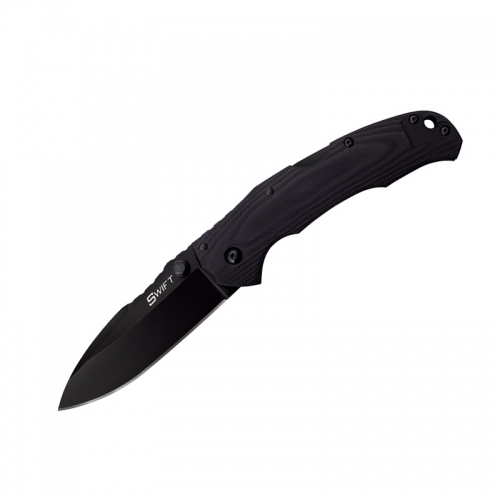 emblem and “One Shot, One Kill.” The extended tang of the blade can be used as a pry bar in emergency situations. 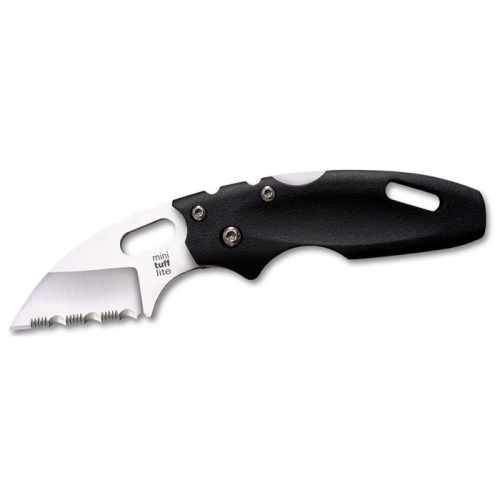 Each knife includes a custom-molded Kydex sheath with a high-pressure all metal clip that has been laser-etched with the S.O.A. emblem and also offers pre-drilled lanyard holes. 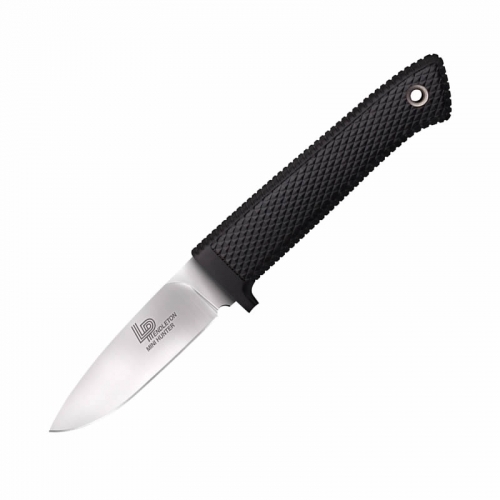 Because the sheath is custom-molded, it prevents the knife from falling from the sheath, even while clipped upside down on a shoulder strap or rifle sling.